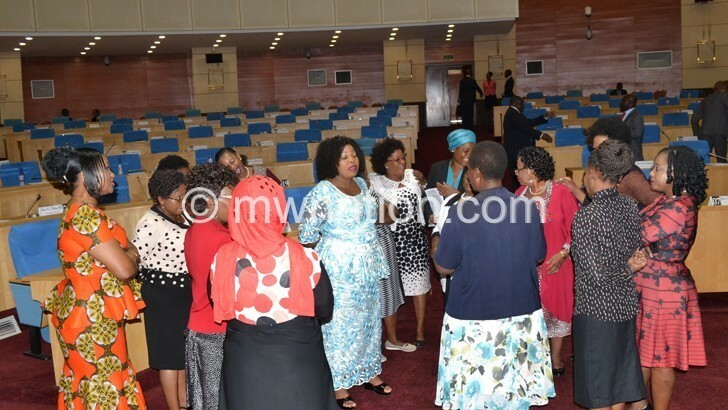 The Malawi Electoral Commission (MEC) yesterday outlined how candidates taking part in the May 21 2019 Tripartite Elections should collect their nomination forms. Collection of the nomination forms is expected to start from January 3 to February 8 2019 while submission of the forms will be from February 4 to 8. MEC chief elections officer Sam Alfandika, in a statement issued yesterday, said aspiring candidates contesting on political party tickets will get their nomination papers through secretary generals (SGs) of their respective parties or any assigned officials. He said independent candidates for parliamentary and local government elections will collect the nomination papers from constituency returning officers (CROs), district commissioners (DCs), or chief executive officers of councils. However, presidential candidates, be it independent or on a party ticket, will collect the nomination forms from the chief elections officer at MEC head office. The statement further states that candidates with disabilities will have to obtain a letter from the Federation of Disability Organisations in Malawi (Fedoma) for considerations on a 50 percent discount on the nomination fees set by MEC. Submission of the nomination papers for presidential candidates will be direct to MEC at Comesa Hall in Blantyre while parliamentary and local government forms will be submitted to respective CROs. Political parties will, however, be expected to return all unused and cancelled nomination papers to the CMD. Meanwhile, MEC has maintained the 193 constituencies and 462 wards for the forthcoming elections. According to MEC nomination fees, male aspiring members of Parliament (MPs) will pay K500 000, female MPs K250 000, youth (less than 35 years) K375 000 and candidates with disabilities K250 000. In the local government elections, male candidates will pay K40 000, females K20 000, youth K30 000 and those with disabilities K20 000. All these fees are non-refundable. Currently, some political parties are conducting primary elections, except for UTM Party which is scheduled to hold primaries on January 3, a day before collection of the nomination forms starts.